Whether you know of Dover (England, though there are many) from its famous mention in the song, “White Cliffs of Dover” or the towering Dover Castle or maybe you just know it as a cruise port, there are plenty of reasons to visit this coastal town in the south of England. 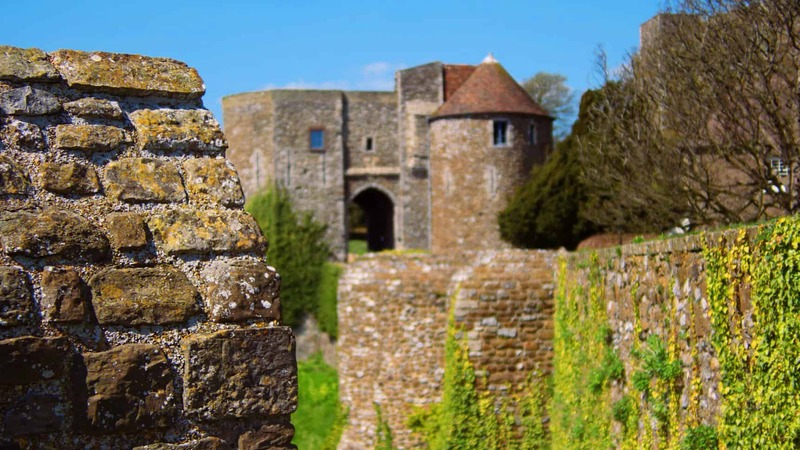 Finding things to do in Dover, England is also not difficult, as the location on the water provides plenty of activity options and the wartime history of the area and its castle are not to be missed. 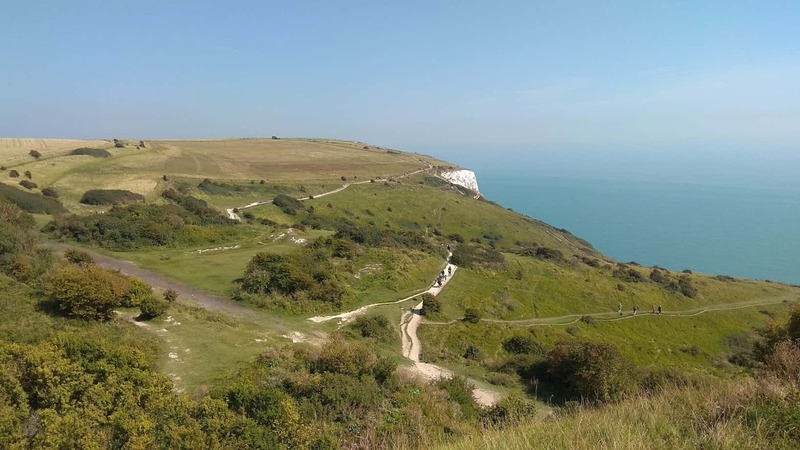 And of course if you’re a nature lover, the area is filled with walking opportunities that take you above the white cliffs of Dover and beyond. 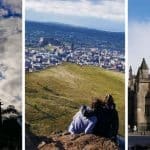 No matter if you’re staying in Dover for a couple of days or a couple of weeks, here are the top things to do in Dover. 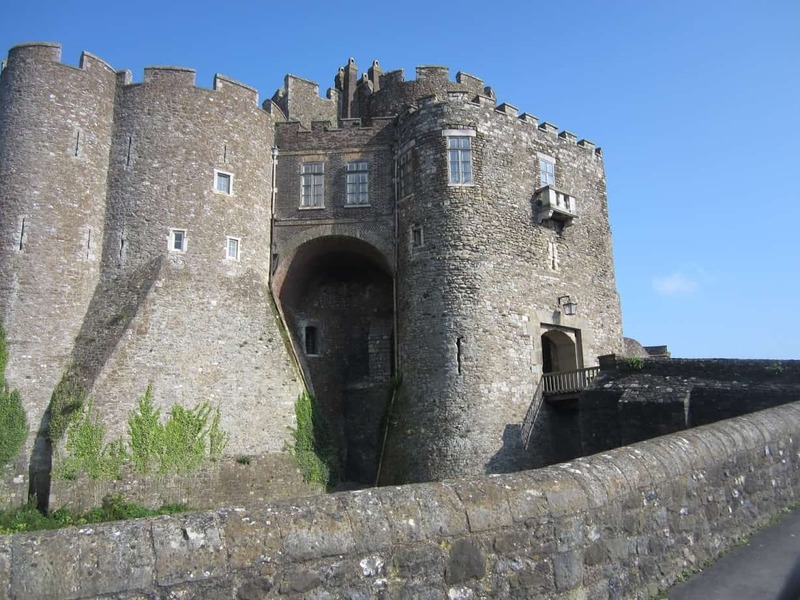 Dover Castle is one of the best things to do in Dover for anyone, but especially for history lovers who won’t be able to get enough of its wartime and medieval exhibits. The castle was built in the 11th century and has hundreds of years worth of secrets hidden within. If you’re interested in the castle’s use when it was first built, you can head to the keep where the rooms have been arranged to suggest what they may have looked like back then, with handy guides ready to help answer your question about medieval life in England. There are also a series of medieval tunnels that are great for getting lost in or spending a few minutes out of the sun on a warm day. For more recent history, take the time to explore an exhibit right outside the castle facing the water where you can see where soldiers would have looked out to the English Channel to look for signs of invading Germans during wartime. 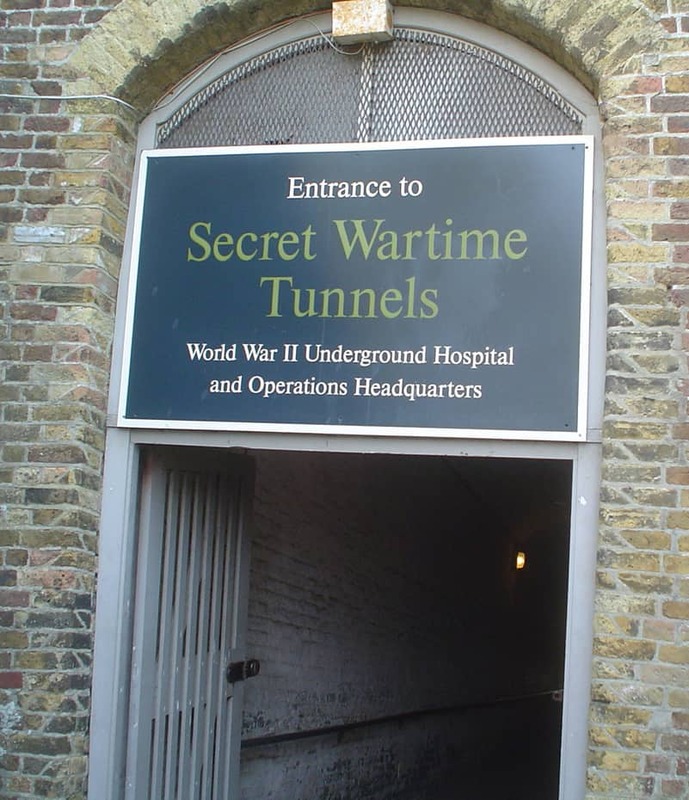 The Secret Wartime Tunnels require entrance to Dover Castle to access, but they deserve a section all their own. These tunnels, dug during medieval times, were used in World War II to house British armed forces who were in a battle against the Germans. Dover was heavily bombed during the war, which is no surprise due to how close it is to the European mainland. However, in order to protect the country, the British forces had to be stationed there on the frontlines. This is where the tunnels come in, as these tunnels were well protected due to being so far underground and beneath the castle. They provided shelter, offices, and makeshift hospital rooms for the wounded. There are two wartime tunnels tours you can take, one called Operation Dynamo and the other an Underground Hospital Tour. The Underground Hospital Tour takes you through the tunnels that would have been used for the injured and wounded, and they are set up like they would have been in wartime. There are also special effects including one section in the surgeon area that helps you understand how difficult it would have been for doctors to provide care to patients in this type of environment. Operation Dynamo is a longer tour that tells the story of Dunkirk. Through a guided tour, a series of projections on tunnel walls, and authentic audio from the war, you’ll take a chronological look at what happened in these tunnels in World War II. Both of the tours are fascinating no matter how much you know about Dover’s history, and they do a good job of providing a basic understanding for those from abroad who may be less knowledgeable about it, as well as giving an in-depth look for people who already know the basics. Staffed entirely by volunteers, the Roman Painted House is a section of Roman ruins built in around 200 AD that helps give a glimpse into the history of Dover when it was the leading naval base for Roman Britain. The ruins are those of an old hotel for travelers who had crossed the English channel, and luckily some painted murals on the walls survived as well. In addition to the ruins and the exhibits surrounding them, there is a garden space that can be used for picnics. I’ve been to Dover quite a few times, but it isn’t until recently I discovered Crabble Corn Mill. 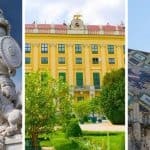 Not only is this a great space to hang out as it puts on multiple festivals throughout the year, but it’s also a working museum. The mill was built in 1812 and today stands as one of the most complete examples of a Georgian watermill in all of Europe. 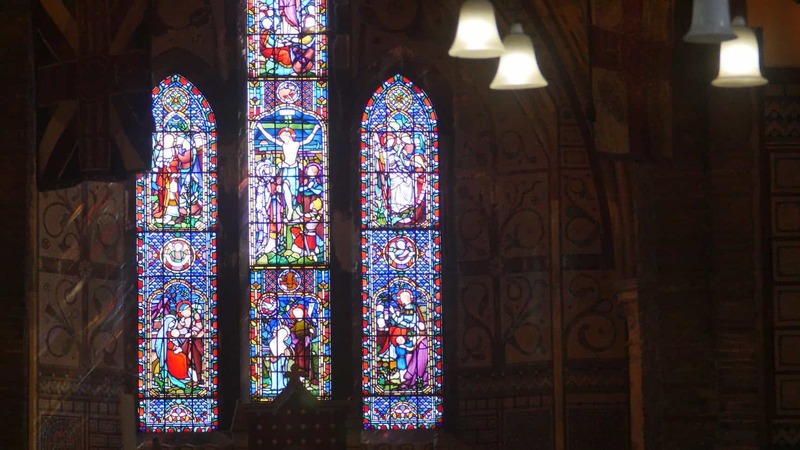 It was under threat of being torn down, but in 1990 it was saved and opened to the public. Wander through the six floors of exhibits to learn about mill engineering and see how wheat is turned into flour. The Dover Museum, opened in 1836, acts as an important collection of local archeological artifacts, as well as one of the great things to do in Dover if you’re hoping to get a better idea of the history behind the town itself. Unfortunately the museum lost many of its collections during World War II, but today there is plenty to see. On the ground floor you’ll find the archeological exhibits stretching back to prehistoric times, and on the second floor you’ll find the history of Dover as shown through artifacts and artwork by local artists. If you want to spend time on the water instead of in it, you can hop on a Dover Sea Safari tour that whips you out to sea on a speed boat or catamaran and gives you a memorable journey past the cliffs, the seaside houses, piers, and more. 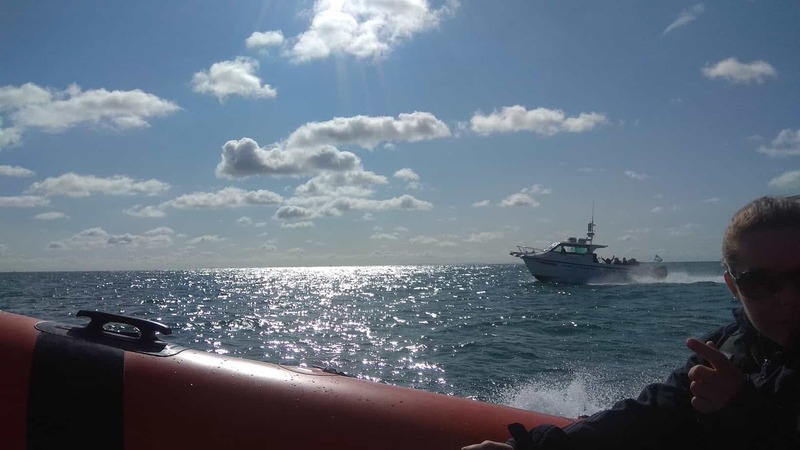 You can choose from a variety of options, including a seal watching tour, a tour out to the Goodwin Sands sandbank, a wartime history tour, and more. This is a fantastic thing to do in Dover for families, as everyone can take part. Read more about my review of Dover Sea Safari to learn more about the seal-watching tour. You don’t have to be training for a swim across the English Channel to swim in Dover’s port. There is an area for swimmers where you can swim for free in the sea. Just pay attention to the safety zone signs and stay within them to have an enjoyable day paddling your way through Dover’s waters. Ready for an adventure? One of the best things to do in Dover for adventurous spirits is to learn how to kayak, sail, or paddleboard by renting equipment or taking lessons from the Dover Sea Sports Centre. Dover Harbor is much calmer water with less current than out in the open sea due to it being sheltered from winds. This makes it an ideal place to learn more about water sports. If you get hooked, take the adventure one step further by taking a guided kayaking expedition along the Dover coastline. Just two miles west of Dover is Samphire Hoe Country Park, which was created using chalk that was excavated during the building of the Channel Tunnel. It’s a wonderful place to do some walking, cycling, or bird watching, and there is a marked walking path that’s just over a mile long. Pack a picnic and head here for a leisurely day out, and be sure to bring a pair of binoculars to spot peregrine falcons and meadow pipets. 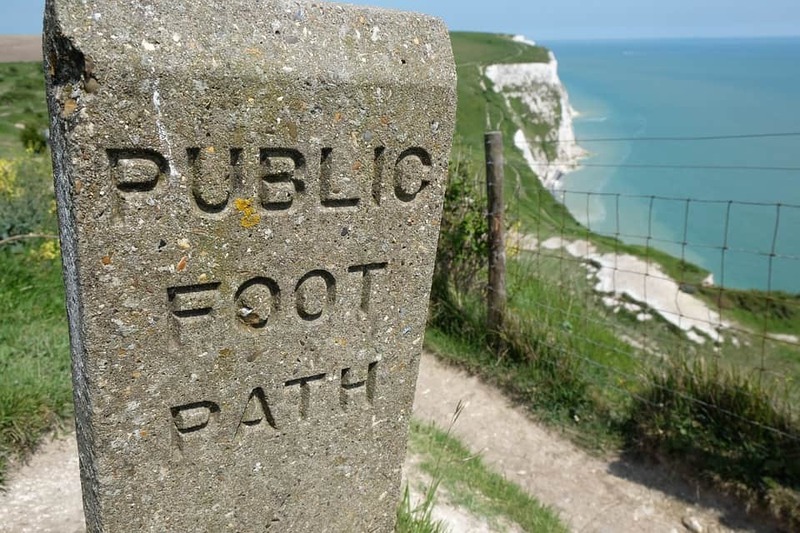 There are plenty of opportunities to walk on top of the famous Dover white cliffs. One highly recommend walk takes you from the Gateway Visitor Center all the way to South Foreland Lighthouse. Enjoy beautiful views out to sea from this iconic spot, and make sure to keep all dogs, children, and wandering adults to the well-worn trails that are safe for walking. Just 2 and a half miles away from Dover’s town center is Kearnsey Abbey and Russell Gardens, some of the most historic parks in the area and, in my opinion, the most tranquil. This is truly where you go to get away from it all. 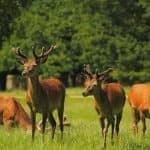 Sit down on the grass and soak in the sun, go for a stroll around the lake, or go wildlife watching in open parkland. You’ll find a couple different types of trees, including Lime and Yew, as well as various types of birds just enjoying the atmosphere. 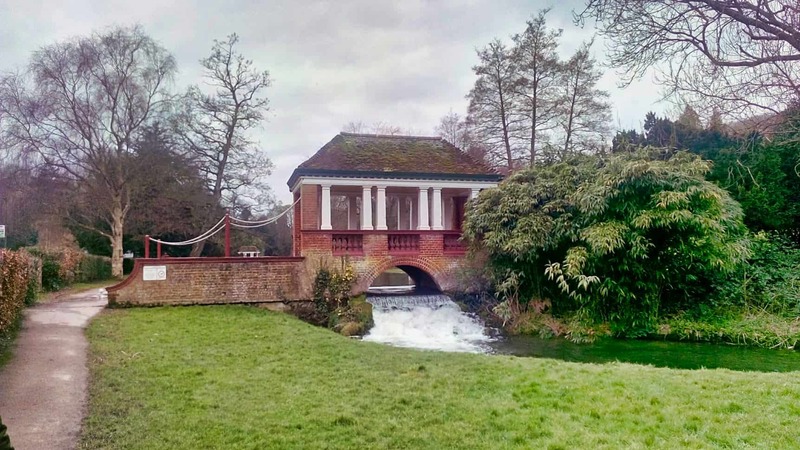 Head to Russell Gardens for a look at more formal gardens, complete with a boathouse pavilion and pergola bridges. 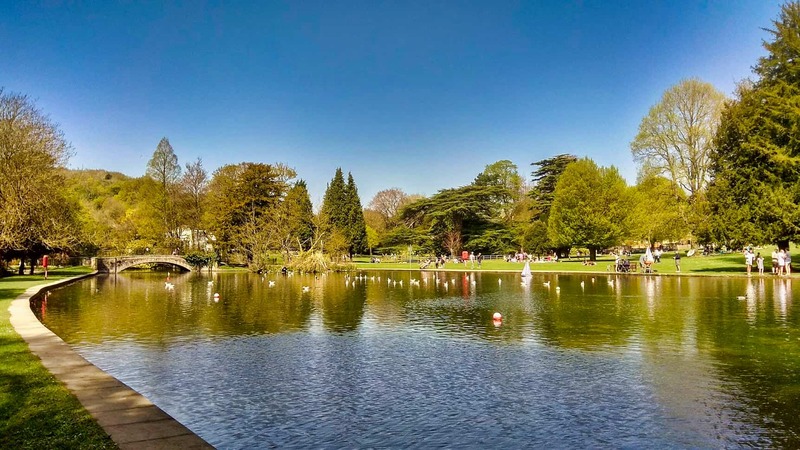 These gardens are Grade II Listed and also include a 170 meter long canal pond. Kids and families will love exploring the Dover Transport Museum, a unique thing to do in Dover, England. 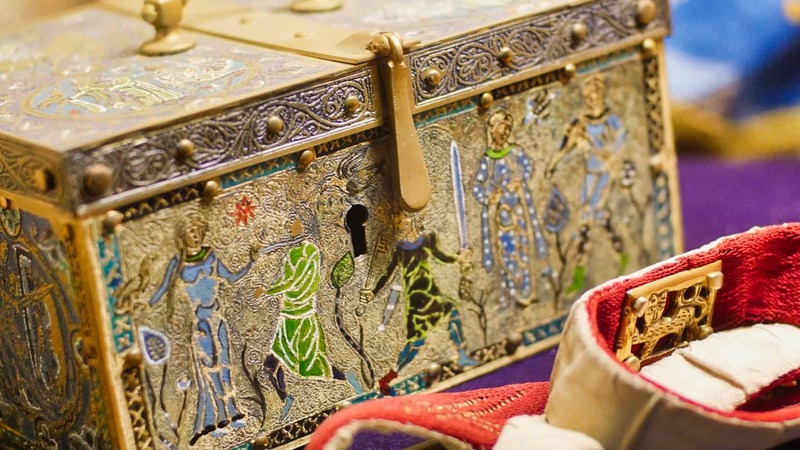 It’s the only museum like it in Kent, and it’s well worth a visit. The museum takes you through the history of transportation with its vintage cars, train cars, buses and other ways of getting around. From bikes to railways, the vivid colors and cool designs of the transportation of yesteryear make it a day in Dover to remember. There’s also a model railway, which basically seals the deal for me. I absolutely adored painting ceramics as a kid, and Ceramics Cafe Dover makes it easy for this generation of kids and their families (and adults by themselves too!) to use their creativity to paint ceramics. You choose from a variety of white ceramics when you come in – everything from plates to cups to figurines to piggy banks – and then you can sit down and choose which colors you’d like to paint your project. When you’re finished painting, Ceramics Cafe Dover will take care of completing it and firing it so that you can stop by and pick it up in just a couple of days. 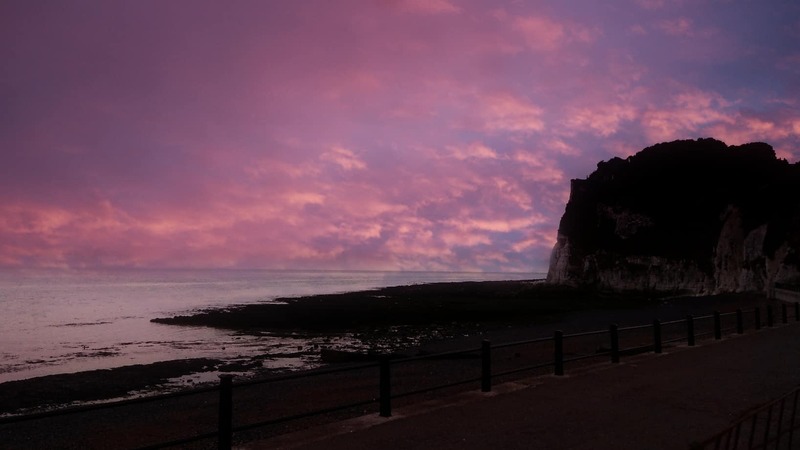 This is a great thing to do in Dover when the weather isn’t quite right for exploring but you still need to get out of the house, and it’s also a fantastic option for holding parties and catching up with groups of friends. Take the kids to the Dover Leisure Center for a kids swimming slot so they can splash around with their friends or take a lesson to hone their skills. There’s also a gym and a sauna for the adults. You can sign up for a regular membership, which is the best idea if you live locally, or you can also get a pay-as-you-go-membership if you can only make it occasionally.